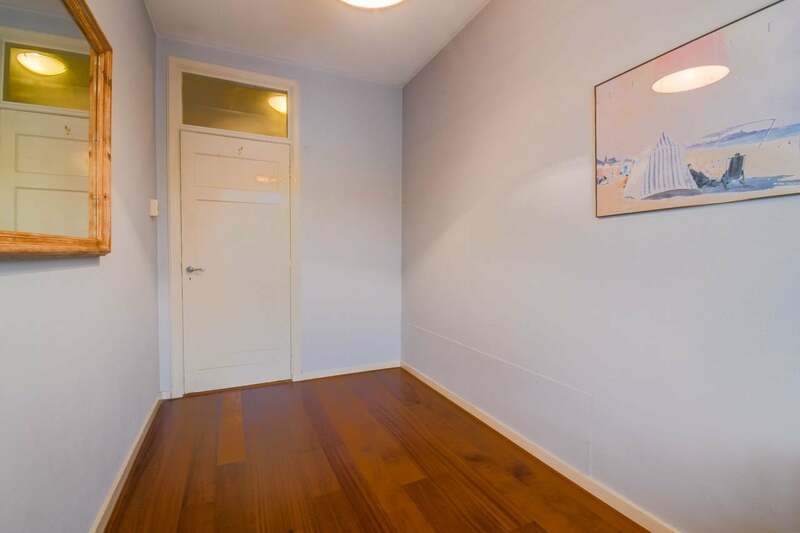 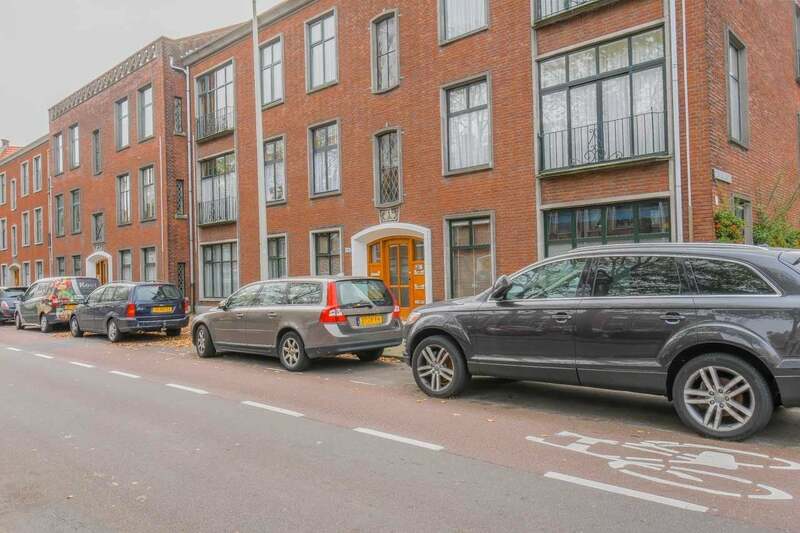 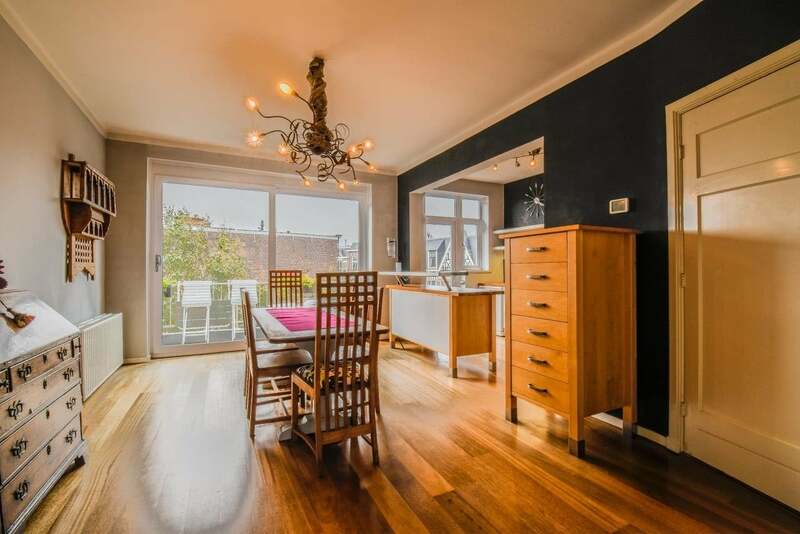 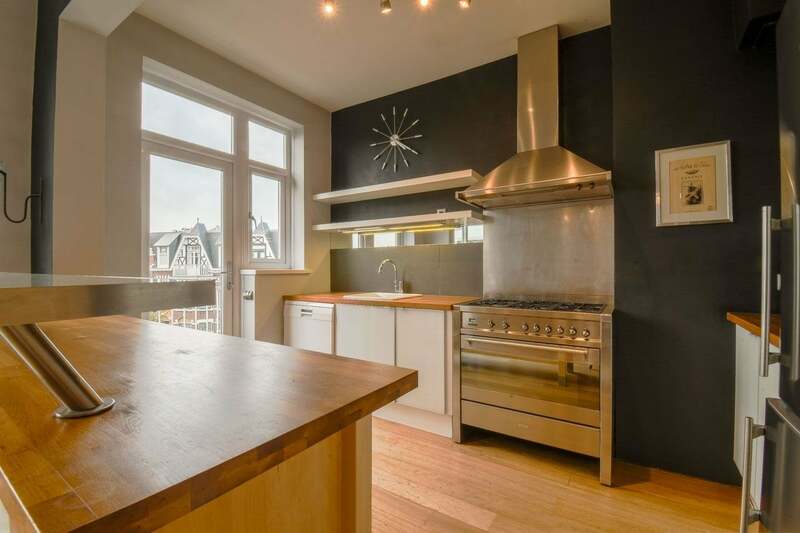 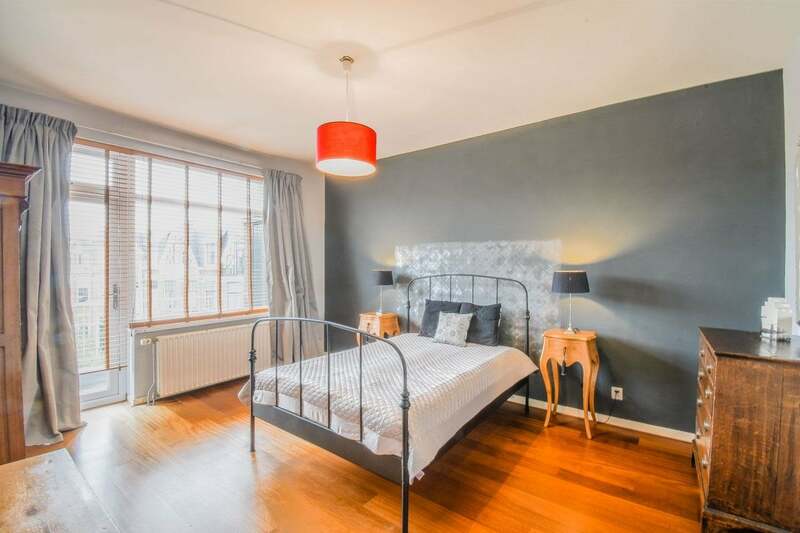 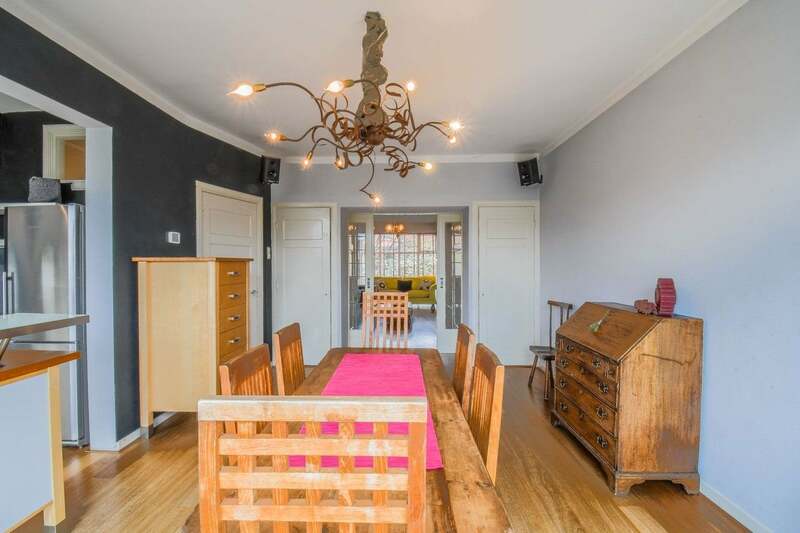 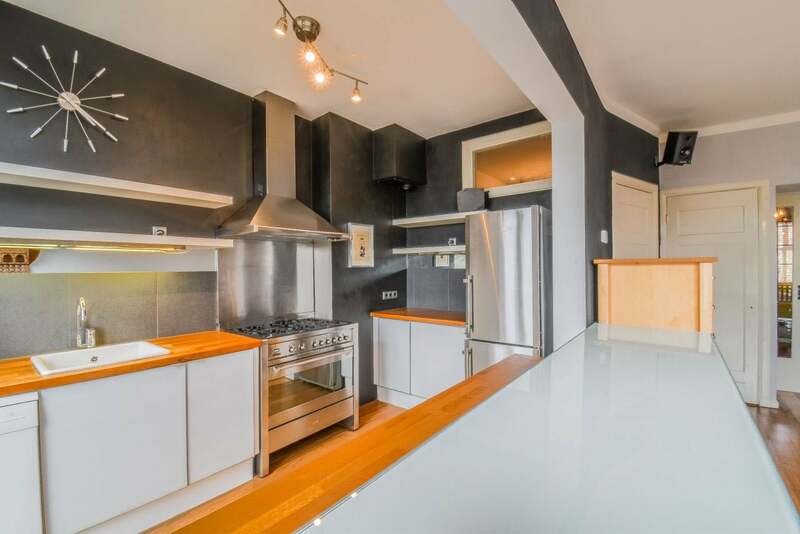 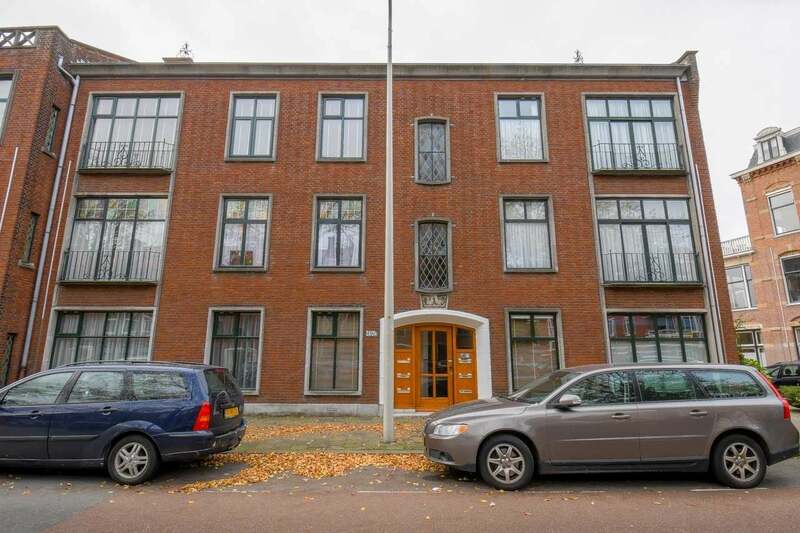 Situated in the Statenkwartier, near the shopping street "the Fred", a bright and spacious 3 bedroom apartment of 120m2. 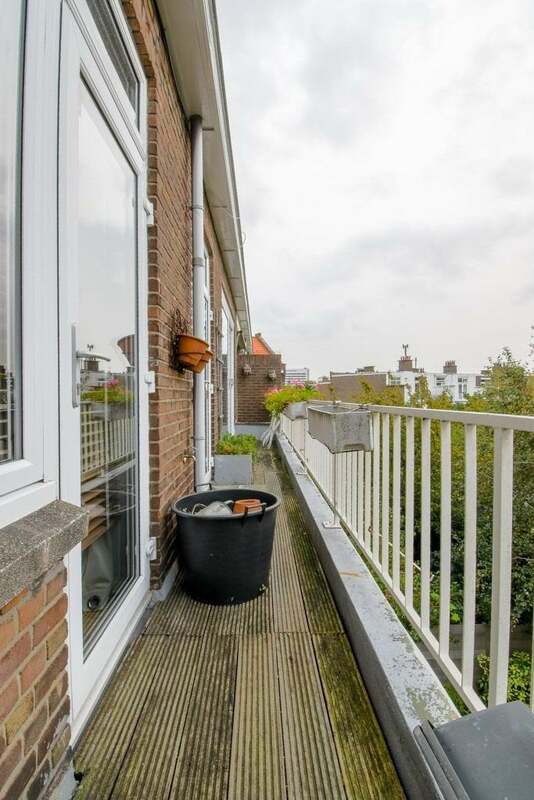 Re-modernised in 2009 with new central heating, electrics, new kitchen, hardwood floors throughout and a balcony. 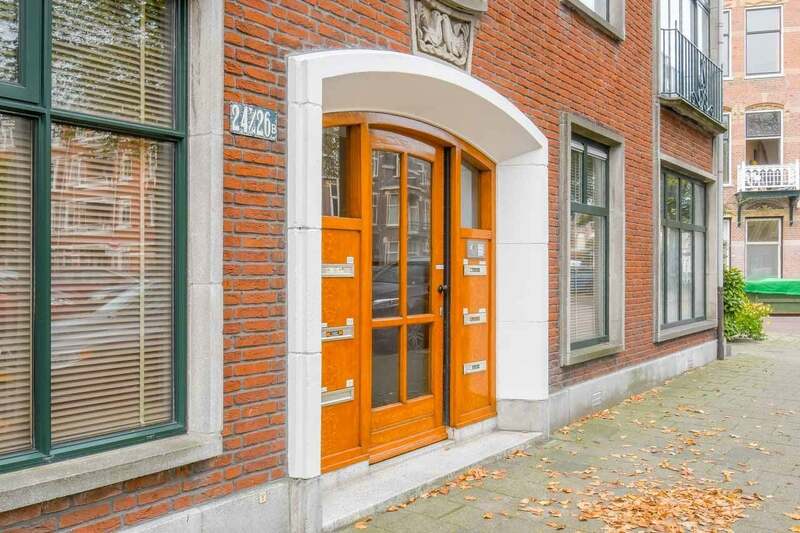 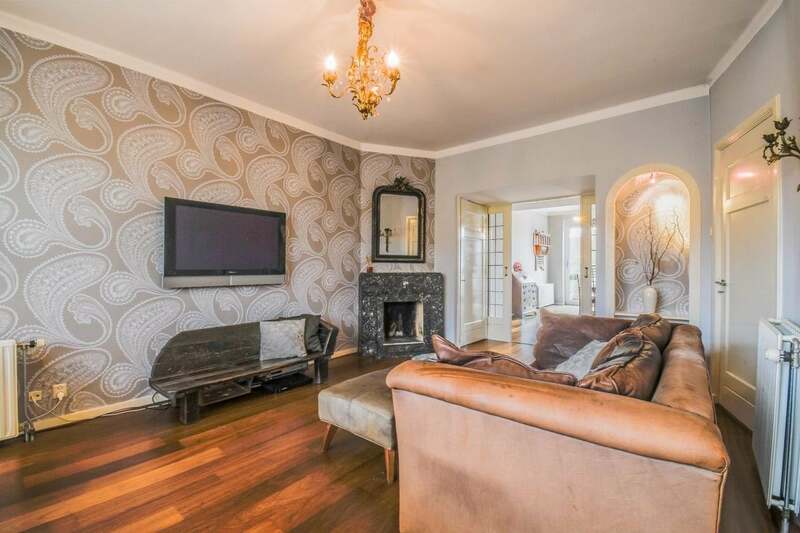 Fitted with original and characteristic elements, perfect for a family or young professionals. 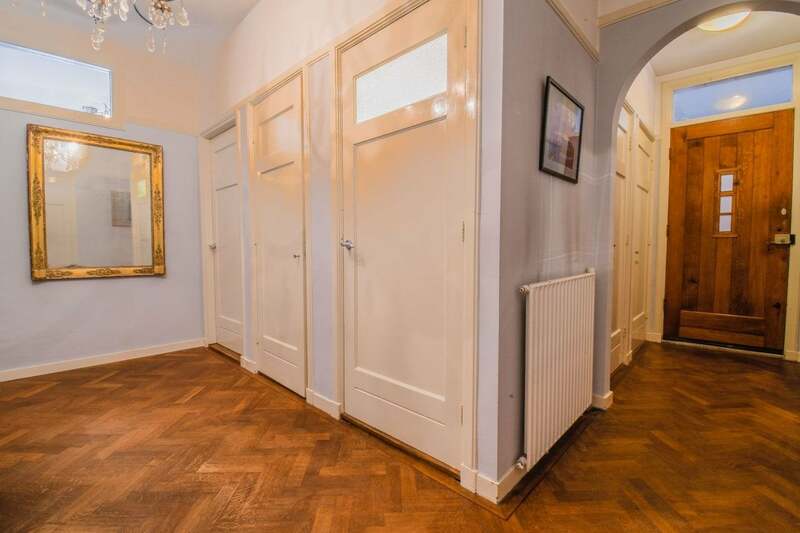 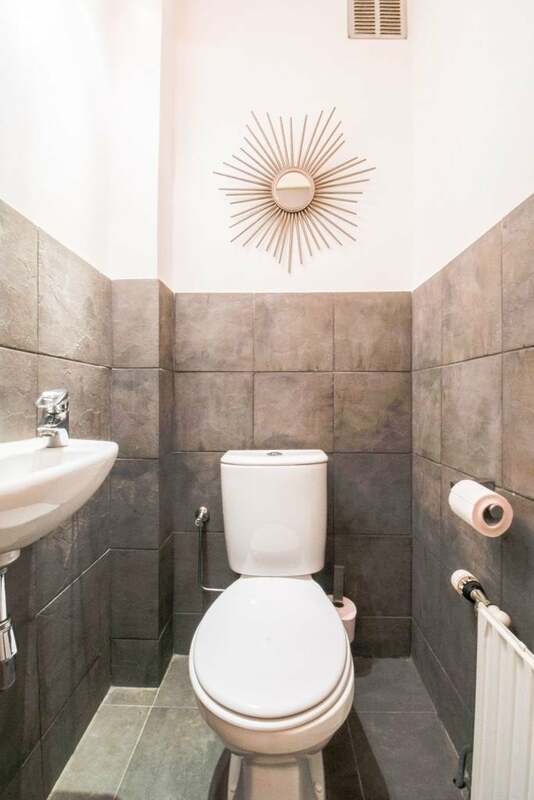 Located on the top floor of a small complex with of six apartments with own entrance leading into a spacious hall with original parquet flooring, built-in storage space a newly modernised toilet. 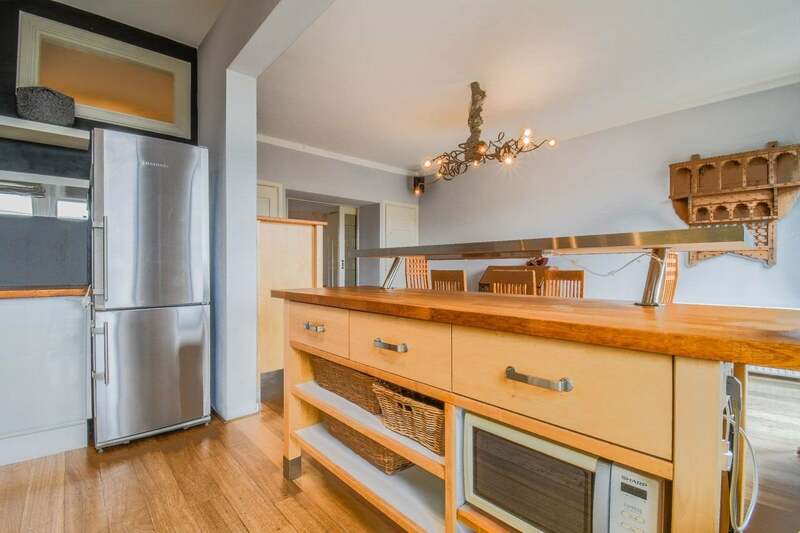 The second and third bedroom with hardwood floor can be accessed from the hall and further along is the entrance to the large dining room with open, modern and fully fitted kitchen, including fridge/freezer, stainless steel SMEG five pit cooker with extractor and cooker hood and built-in dishwasher. 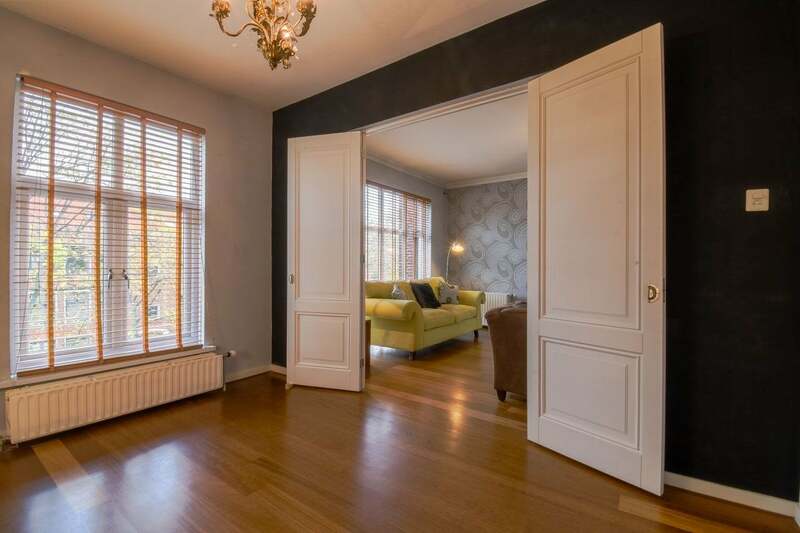 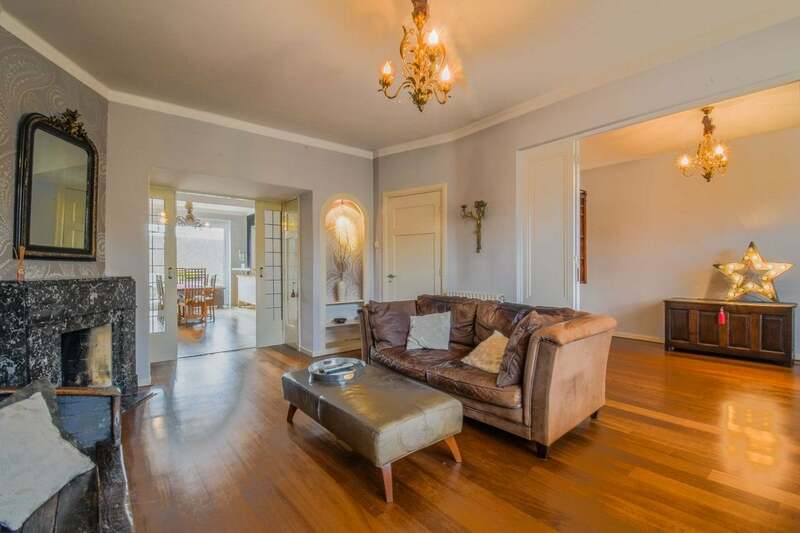 Double-glazed windows, sliding patio doors leading onto the south facing balcony, which can also be accessed from the kitchen and master bedroom, original sliding doors, marble fireplace and hardwood floor. 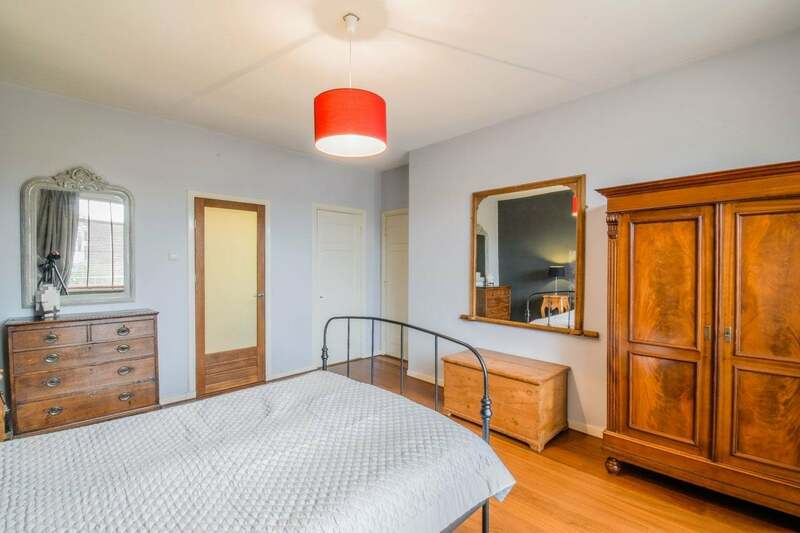 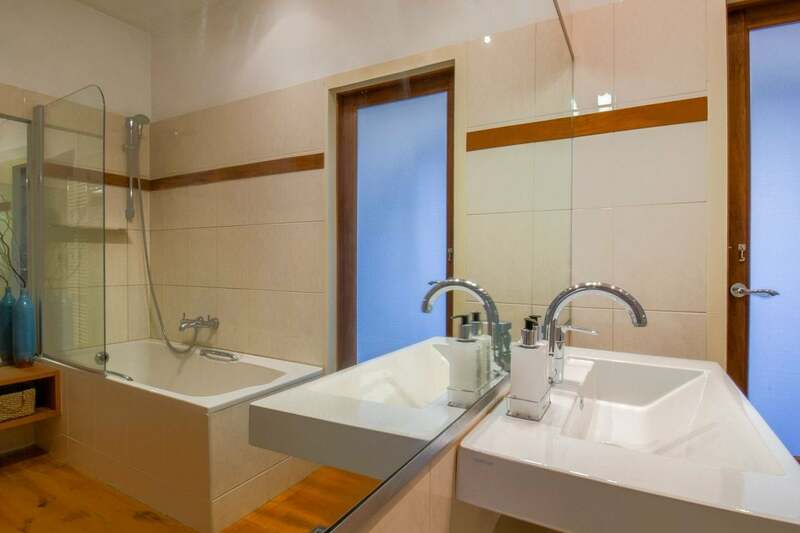 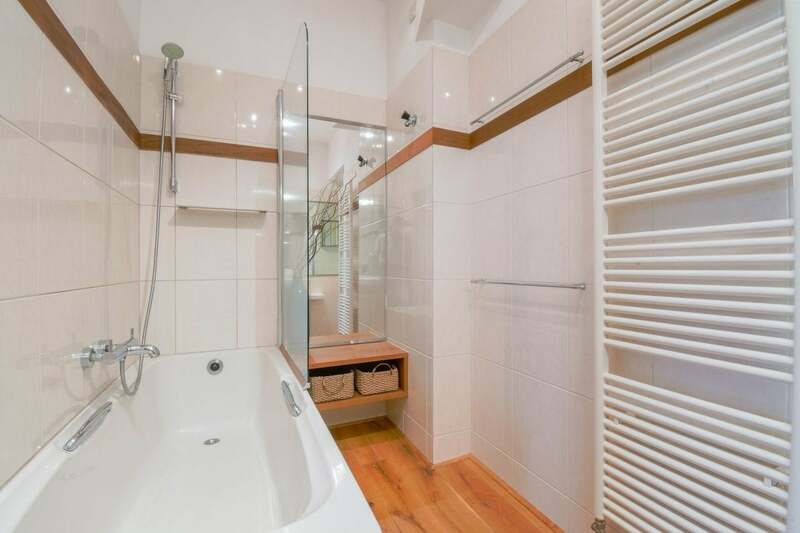 The master bedroom with hardwood flooring and cupboard connects to the en-suite bathroom that is currently being fully renovated, containing walk-in shower and sink with towel warming radiator. 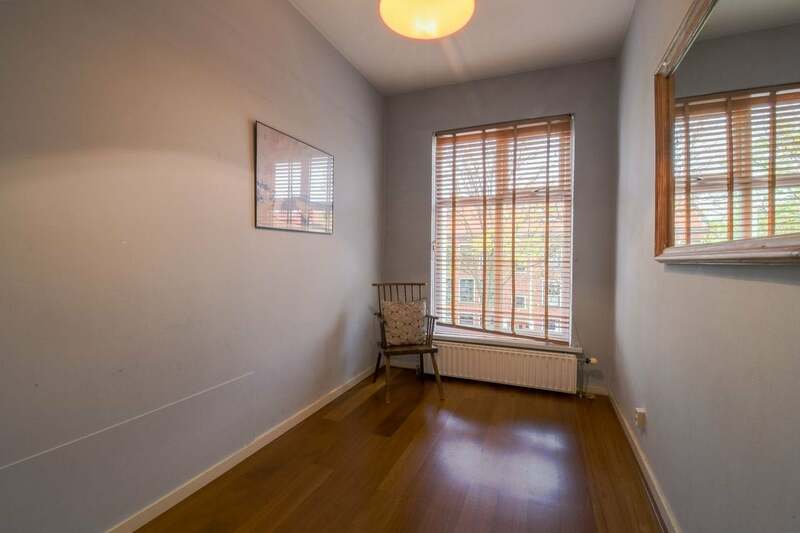 This apartment is in a good condition throughout, with south facing balcony and many original features.